There is much too much to cover in SEO concepts to do so effectively in a single post, so we’ll provide a series of articles to make it easy. 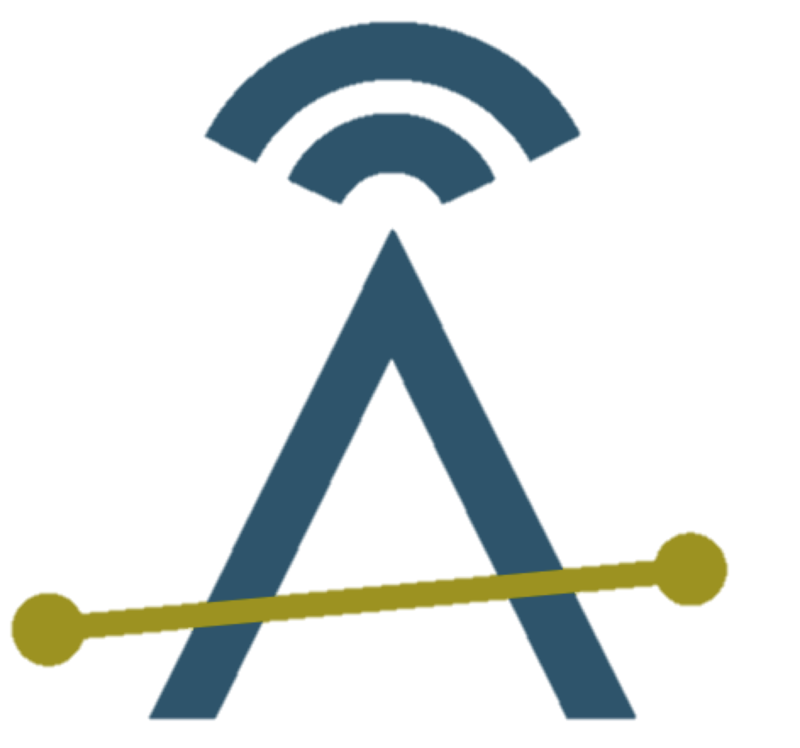 Provide your email address in the form to the right to be notified when new articles are posted and you’ll be able to double or triple the traffic on your site in only a couple of months! Perhaps you read Home Care Blogging, an earlier post on the Ankota blog that talked about why home care businesses should blog and how easy it is to get started. Today’s piece introduces readers to another key piece of your complete Home Care marketing strategy called “Search Engine Optimization,” or SEO. SEO is important for one reason: make your web site more attractive to the search engines so they will drive more visitors to your site. More visitors = More customers. Simple, right? Keep in mind that, while we use the term search engine, SEO is about making your site more attractive to the people who count: your customers. Search engines simply help your customers find content on the internet that most closely matches the things your customers indicate to the search engines that they want. There are some simple guidelines you can follow and techniques you can use on your site that will make a dramatic difference right away. Search engines like Google, Bing, and Yahoo! follow common practices for searching and evaluating web content and account for the vast majority of searches. If you make it easy for them to find and evaluate you consistently in terms that they understand and that your customers use, you’ll do great. It is not uncommon to double and triple the traffic on your web site in just a few months, and double it again within a few months after that. Paid Search vs Organic Search results: Paid search is what pops up in the shaded area at the top when you Google something. 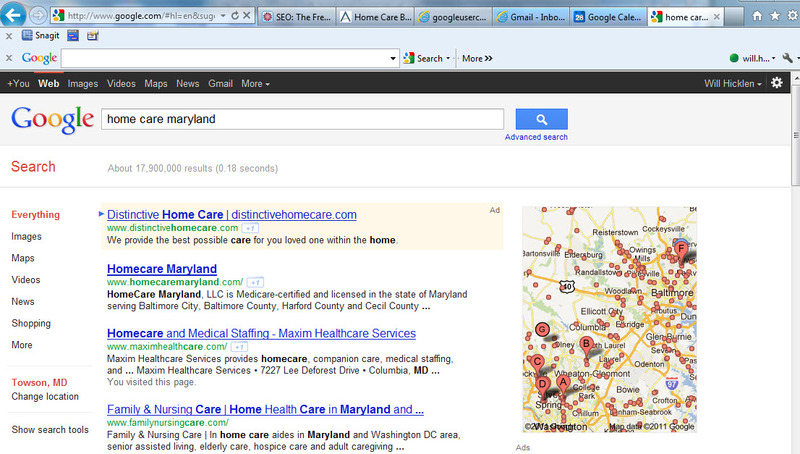 I searched “Home Care Maryland” and you can see the results below. Distinctive Home Care is the lone result in the Paid Search responses at the top, which means that they pay Google each time someone clicks on their ad. If you have money to spend on this, you can appear in the paid search results. Organic Search: If you apply some common practices yourself, you can appear at or near the top of the organic search results and it won’t cost you a dime. It so happens that there is a company called “Home Care Maryland” – I had no idea when I used that term, but that is a brilliant name. Gone are the days of “AAAAAAAAAAAA Home Care,” because people do not search the phone book alphabetically any more. The next result presents our friends at Maxim, followed by Family & Nursing Care. A simple page that tells me what they do (home care) and where they do it (near me) and immediately presents me with an easy way to contact them (simple form on the landing page). In a matter of seconds, they appeared first in my search and I decided that they can probably help me with what I need. In a situation where I might feel some anxiety about hiring home care for an aging parent, Home Care Maryland made it very simple. They already have an advantage. Maxim ranked #2 in the results, but landed me on a “corporate page.” I’m not wild about the fact that the first thing I see talks about medical staffing, but there is an obvious graphic on the right that reads HOME CARE, and if I click on that I am directed to a clean, well designed page entitled “Maxim Home Care Services.” I can see on that page that Maxim provides the types of services that I need. If I’m a prospective customer of yours and I'm looking for care for my elderly mother, I’m now calling Home Care Maryland and Maxim. Not you. And not the dozens of others that appeared in the Google map above but not in the search results. You can change that through SEO. We'll teach you how through the Ankota Blog. 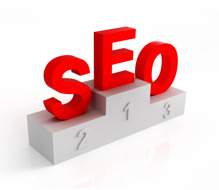 This was intended to be a simple albeit partial introduction to SEO, starting with your customer's search experience. Remember to provide your email address in the right column of this page and you will be notified as we continue to develop an SEO strategy for your home care business.